Clear as , er, mud. lol Is then the old goat barn the now new goat barn and what is to become of the structure in progress? Is it to be another new goat barn with hay loft or just an extra barn/building with a hay loft to accommodate the windfall of hay. Congrats by the by. Yes I am confused but after several issues that came up today I think I am entitled to be. Enlighten me please Leigh. Yay for you! Plans change around here all the time too. I guess that's just part of life in general. Well, I was willing to change our plans because adding a hay loft would have taken more time and I know Dan gets frustrated with how slow progress can be sometimes (due to his work schedule). But it's progressing well enough that I think he's feeling good about it. We both want to be done with all the major building projects and get on with simpler living! Well what every you are building looks great and I can't wait to see more pictures. This "discussion" that you and Dan worked through sounds an awful lot like many, many of them between my husband and me. I'm more willing to "make do" with the imperfect and be done, done, done with working on BIG projects. On with simple living and having a balance in life, right here, right now. Dear husband of mine, on the other hand, is always thinking and looking to change things so that they are more efficient, all-round better, the ultimate for whatever purpose intended. (Drives me nuts!) Consider yourself lucky as you and Dan have been working on it a lot fewer years than we have . . . even though it's been a lot of work . . . and you're not done yet. 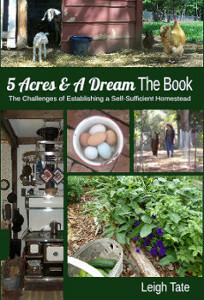 On a homestead, are we ever done?? Mama Pea, I agree! 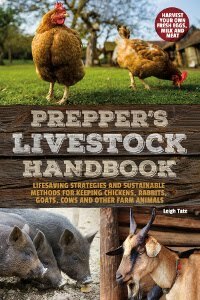 Things are never truly done on a homestead! Interesting that you all have similar discussions and decision-making. I think I tend to over-simplify and Dan tends to think in terms of complex. Most of the time we end up somewhere in the middle, which is almost always for the best. I think it makes life interesting, and certainly better mileage on the original investment, in building. Are you going to install some kind of lift and pulley system, to get the hay, up and down? Chris, definitely makes life interesting, LOL. And there's a lot to be said for creative thinking and versatility. I do have to say that I've learned a few things from our current arrangement which can hopefully be improved upon with this one. I know the project is still going too slowly for Dan, but now that it's beginning to take shape, the sense of progress is a comfort. I can feel your pain AND your pleasure. I often wonder, as Keith and I take something down, rebuild and repurpose something else, if we'd be like this if we had tons of money to work with? Yes, I think we would. Already we've changed the plans of our new (old and repurposed)barn about six times, and just dug the first post hole today! The infrastruture stage seems to last forever. My dad has been on his farm 35 years and he's still building things! Kev, I'll have to tell that to Dan. :) I know he says this is the last building project, but every now and then something else slips out. So I suspect we'll be in the same boat as your dad!